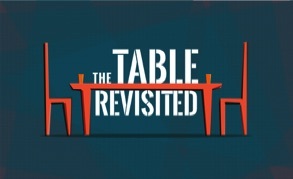 Originally based on a sermon I heard from Ed Young over ten years ago, I adapted it into a two part series on the mission of the Beltsville Church. This is a vision casting series designed to clarify our vision for mission and church planting (or multi-site). This foundational two-part series by Pastor Tim Madding hones our skills as hosts and hostesses for the Kingdom of God. In a creative take on the various aspects of preparing for a special meal, we are reminded that there's always room at the table.